Philips Sport Vereniging, abbreviated as PSV and internationally known as PSV Eindhoven is a sports club from Eindhoven, the Netherlands. It is best known for its professional football department, which has never been relegated to a lower division. 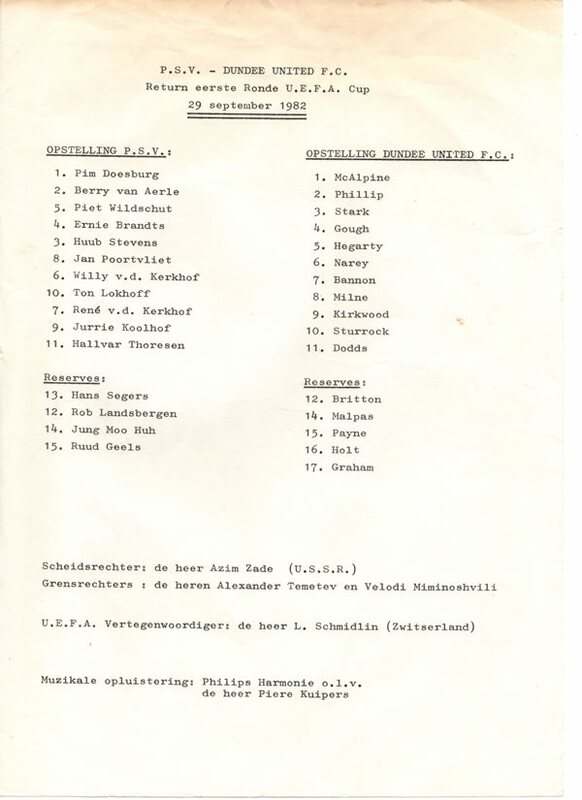 The club was founded in 1913 as a team for Philips employees. 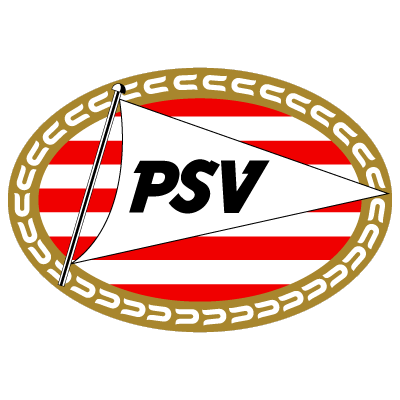 PSV’s history contains two golden eras revolving around the UEFA Cup victory in 1978 and the 1987–88 European Cup victory as part of the continental treble in 1988. 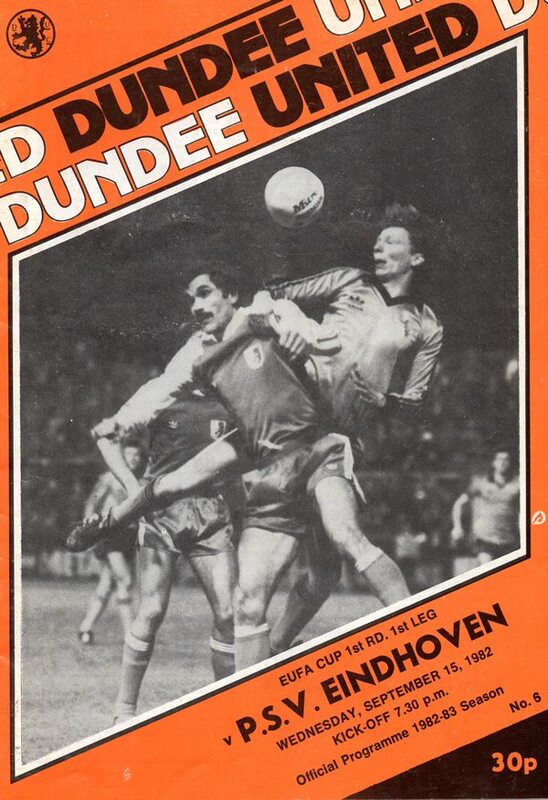 United faced the Dutch side in the 1982 UEFA Cup during season 1982/83. United won through 3-1 on aggregate.